For the first time in the entire hike I woke up feeling fatigued. 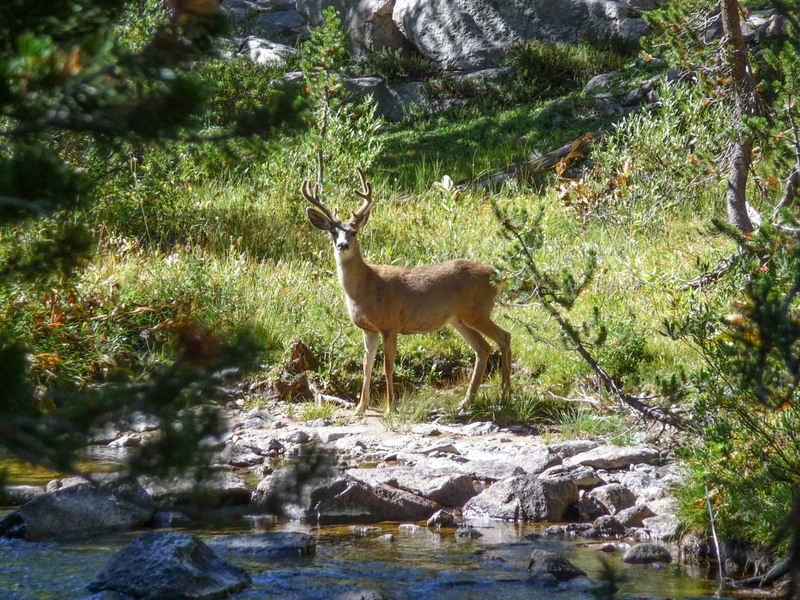 With Forester Pass coming up, I thought I was in for a long and tough day. I made sure I drank a good amount water since I had not been drinking enough in the previous days. I was having only about 3-4 liters per day, not enough while hiking so much. The first hour back on the trail, my pace was slow so I could warm up properly. After this, my energy level went up and I was feeling great. 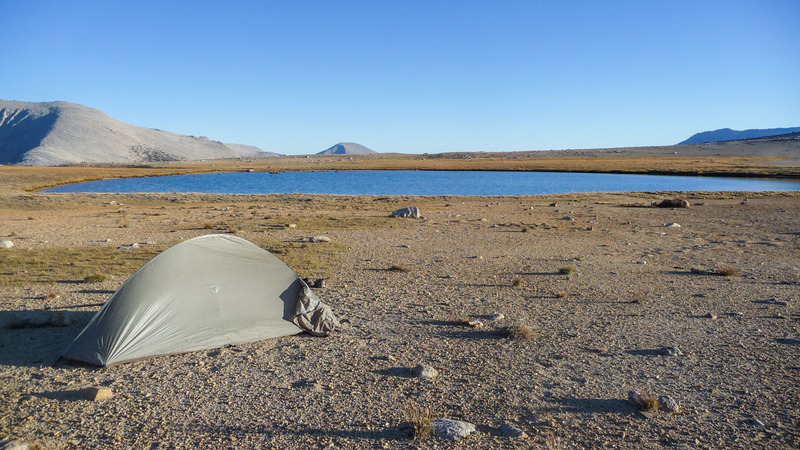 I caught up with 4 hikers with huge packs in front of me, and it wasn’t until I was right behind them that I realize that they were the Czechs I had met after Reds Meadow and at Vermilion Valley Resort. Since they were struggling back then, I really wasn’t expecting them to pass me and be in front of me. Last time I talked to them they were behind schedule and didn’t believe they were going to complete the JMT in time to catch a flight out of Los Angeles. Not only were they now right on schedule, but were also not struggling physically anymore. 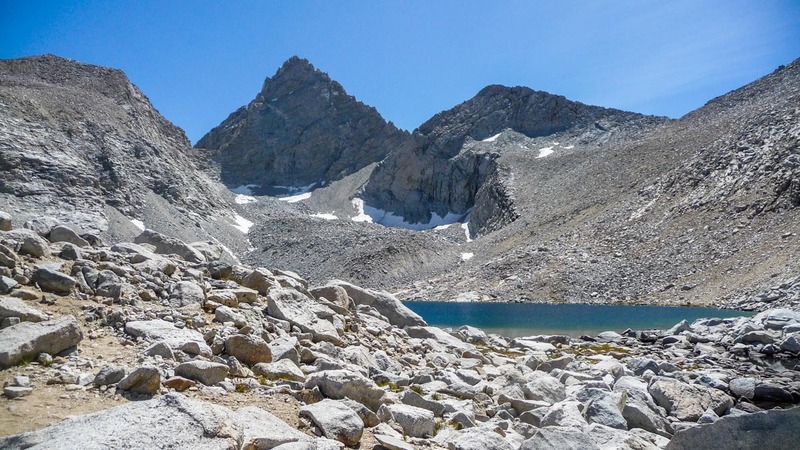 They even went off the JMT and over Kearsarge Pass to resupply at Onion Valley. 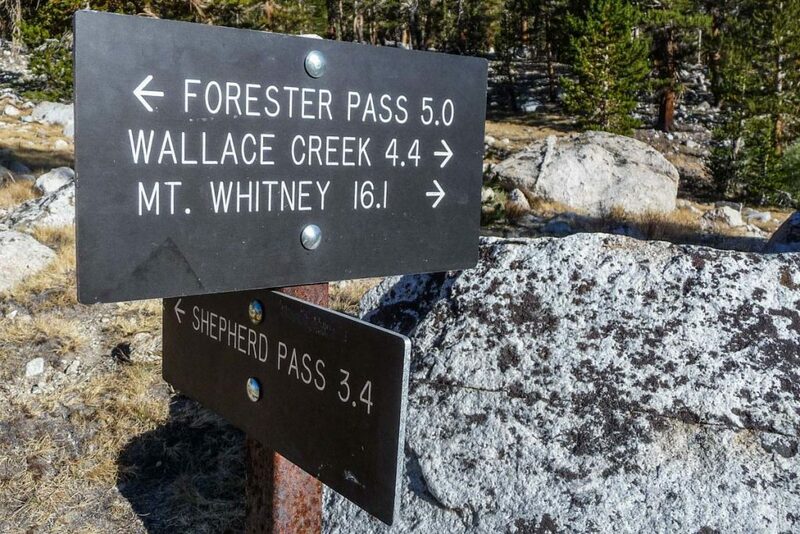 I was now about to tackle Forester Pass. For a long while, I kept thinking that the pass was about one mile earlier than where it actually is. While approaching it, the pass is blocked from view by a large ridge until the last mile or so. The trail goes south, then makes a sudden turn heading north before turning south again for the final approach. All these changes of direction are there to make the ascent as smooth as possible. 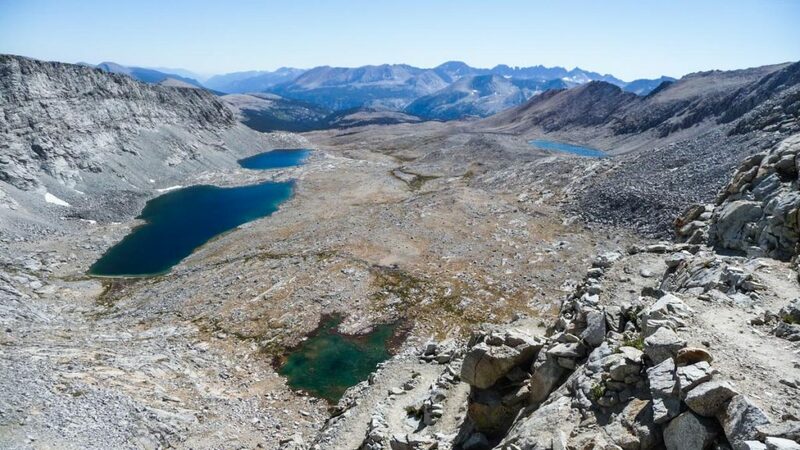 I found Forester Pass (13,200 ft, 4,023 m) to be the most enjoyable of all the passes on the JMT, as it is long but never too strenuous. The views are great, as expected. As the days went by, I got better and better at predicting how long it would take me to get to a certain location taking into account elevation changes. Before getting back on the trail in the morning, I predicted I would get to the pass between 2:00 and 2:30pm and I got there at 2:10pm. I chatted briefly with 2 guys from Modesto, CA on the top of the pass. They were nice enough to take a picture for me. I decided to stop and eat lunch. It’s not everyday that I get to eat a meal at 13,000 feet. I then saw a hiker named Jim come up from the south side of the pass. 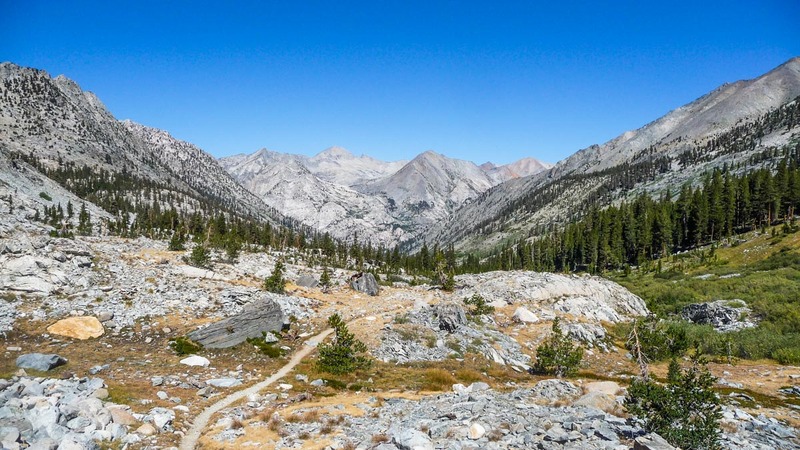 He was doing the Pacific Crest Trail in small sections at a time and hoped to complete the entire hike in his lifetime. 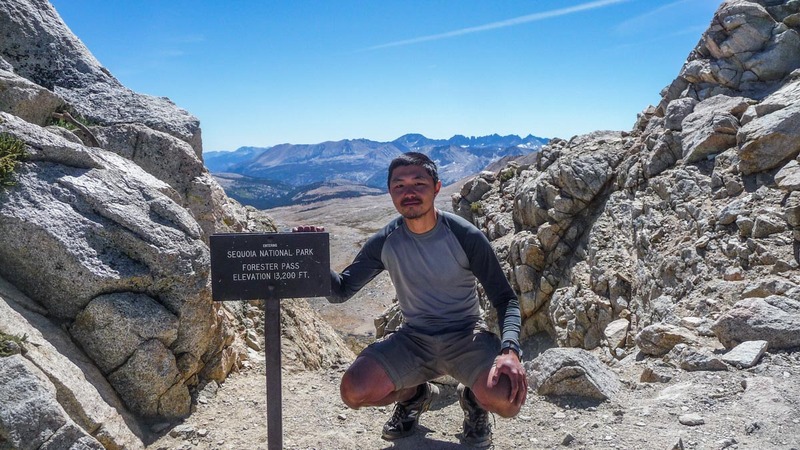 I learned from him that Forester Pass is the highest pass of not only the JMT, but the PCT as well. He was carrying an 80+ pound backpack but the most amazing thing of all was that he was hiking in flip-flops. 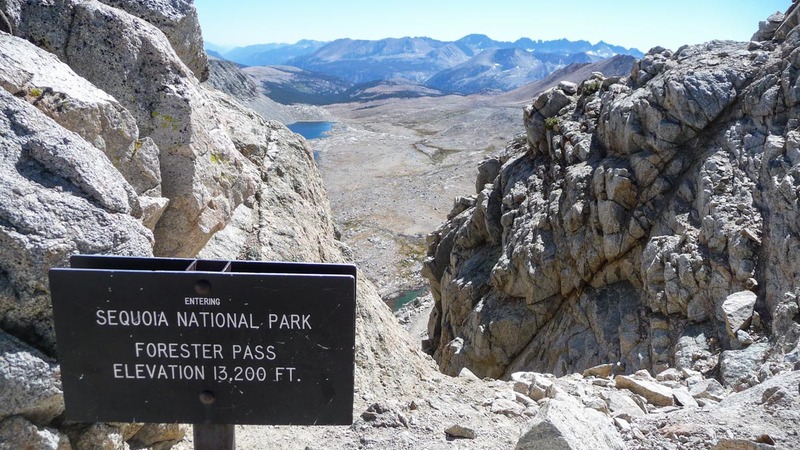 Even without carrying a backpack, going up Forester Pass in flip-flops must be quite a feat. I mentioned, while talking about the types of food in my canister, that I wished I had packed more sweet stuff. I was craving them non-stop. After taking a few pictures for him, he pulled out a Tiger’s Milk bar from his pocket and said to me “This is your reward”. What a great gesture. So many nice people on the trail. We said good bye and continued in opposite directions. 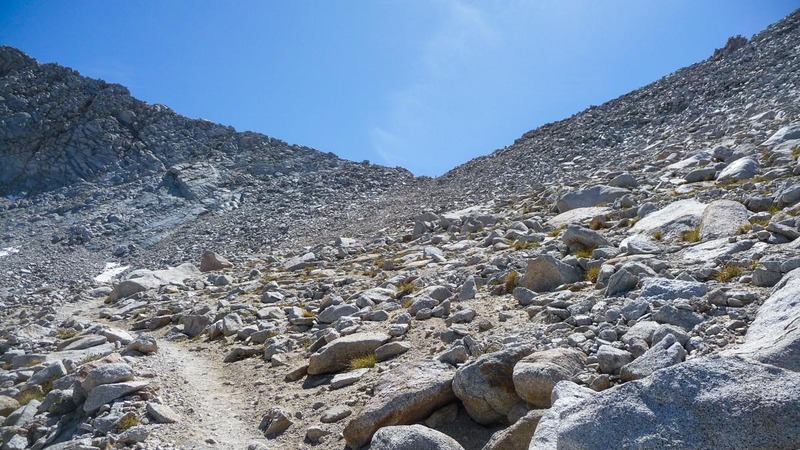 On most of the passes on the JMT, I got the feeling that going up in my opposite direction (Northbound instead of Southbound) was much steeper and demanding. 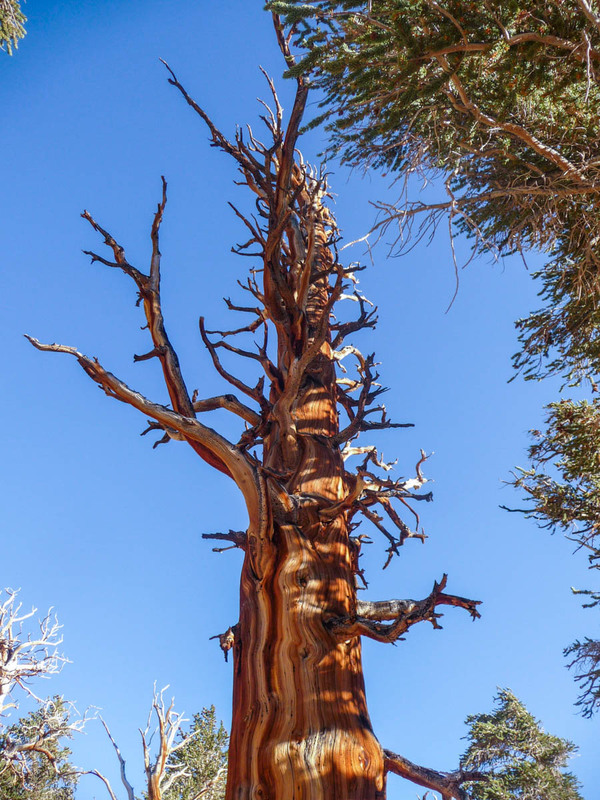 Forester Pass was no different. The switchbacks on the other side were relentless. 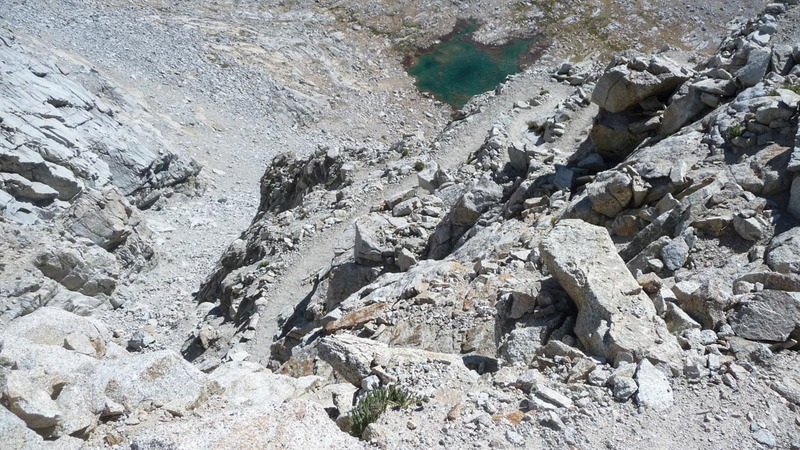 The trail then makes a smooth and gradual descent. 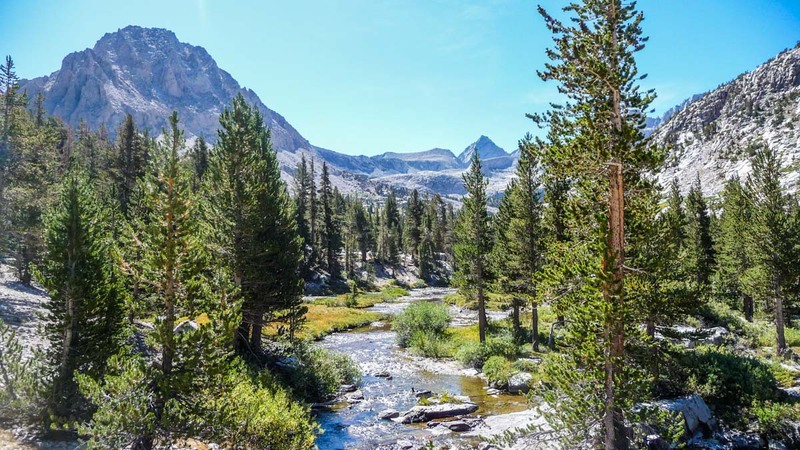 I hiked 4.7 miles to Shepherd Pass Junction. 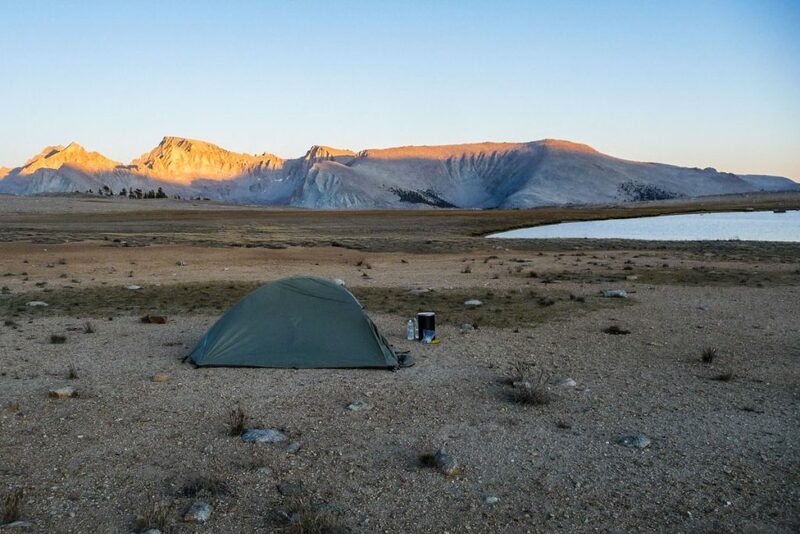 I planned to end the day here but after looking around and seeing another familiar looking campsite surrounded by lodgepole forest, I decided to push for another 2 miles to Bighorn Plateau, hoping for better views. After a long day, this last stretch going up 500 ft in elevation felt demanding. Ultimately, I was glad I kept going. Bighorn Plateau is like no other place on the JMT. As Ross (who I met on the trail) told me later, it looks like something out of a Salvador Dali painting. It felt like a desert with an oasis in the middle, with almost no vegetation at all. Hundreds of ravens were flying around. I ate dinner (with Jim’s Tiger’s Milk bar as dessert) and got all my chores done quickly because I wanted make sure I had time to take pictures of the amazing sunset. 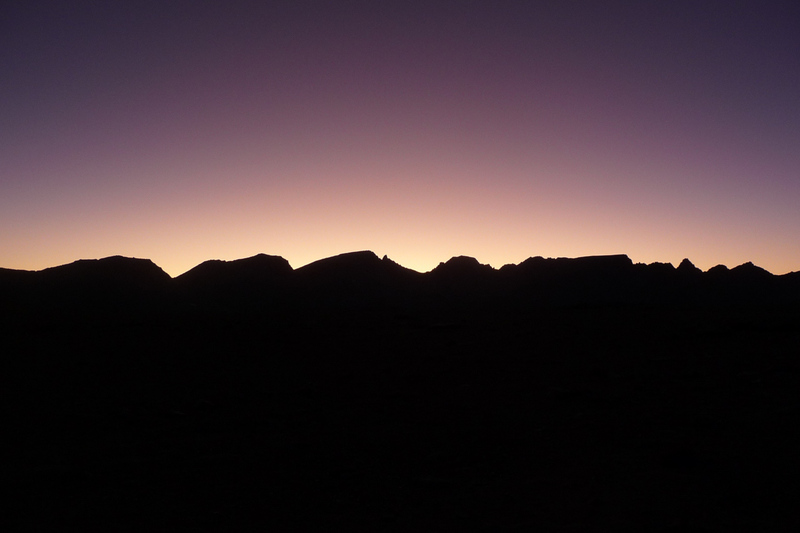 The sun went down and suddenly everything became completely quiet and still. There was nobody else around. No running water. No wind at all. What a great and strange feeling. 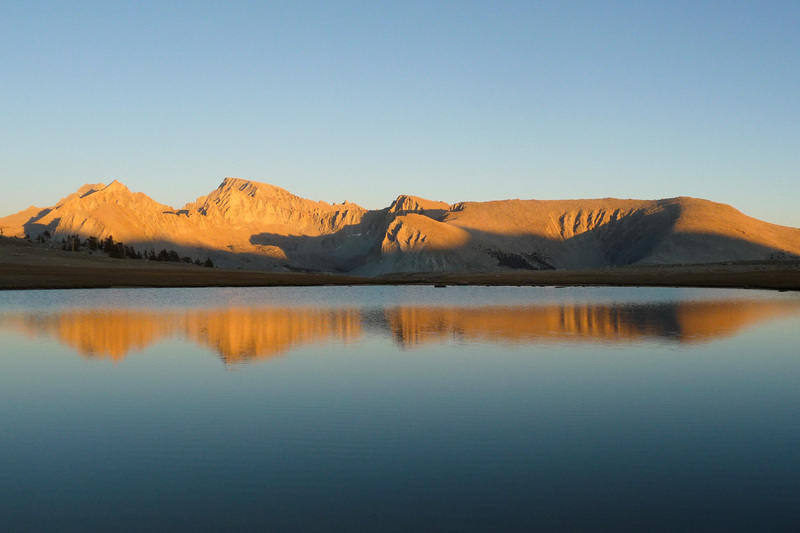 Looking back, this was my favorite day of the entire hike, mainly due to Forester Pass and Bighorn Plateau. I had spent 3 weeks on the trail and now had 2 more days to complete the last 27 miles. 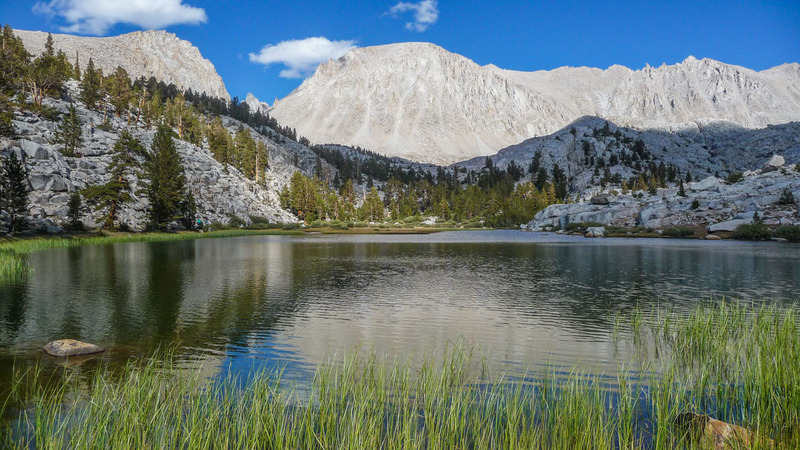 The next day was going to be an easy 9.5 mile hike to Guitar Lake.